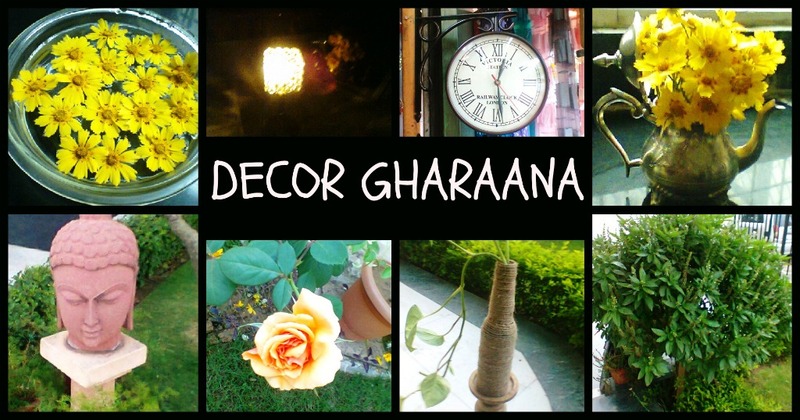 DECOR GHARAANA: When life gives you lemons!!!! Or may be something else;). Well, this season, we are reaping the fruits of what we had sown last season. LEMONS IT IS. 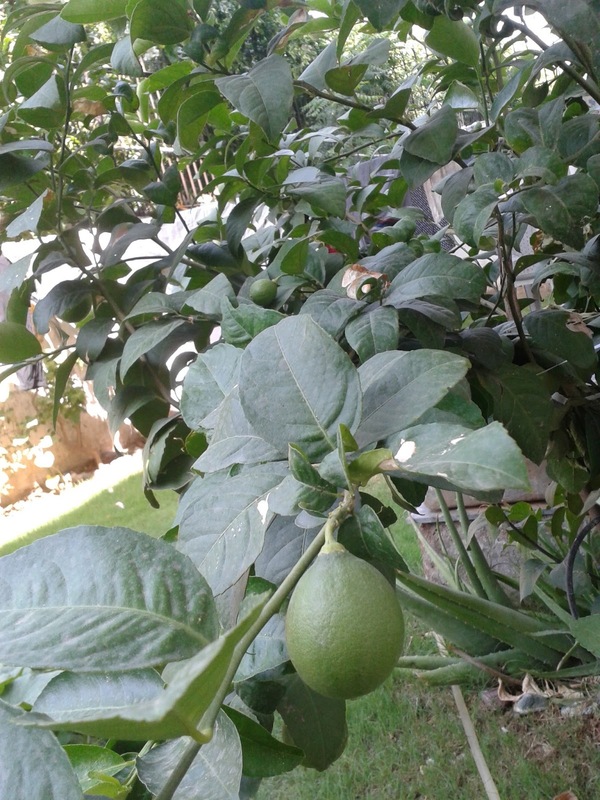 Last season we got home two small plants of lemons (different types) and got them planted in the backyard. 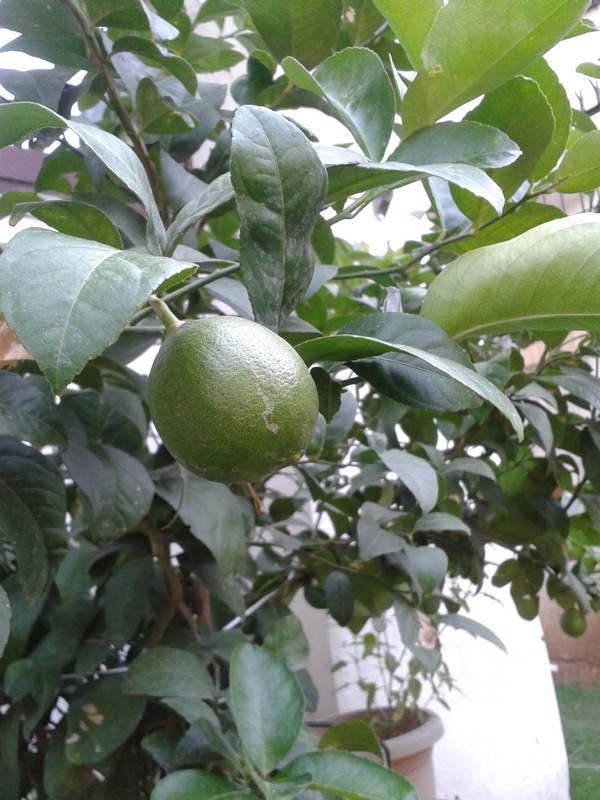 Its just been a year and we are getting gorgeous lemons. Though they are still green in color but still looks so pretty. The gardener says it will take another month or two for them to change color. 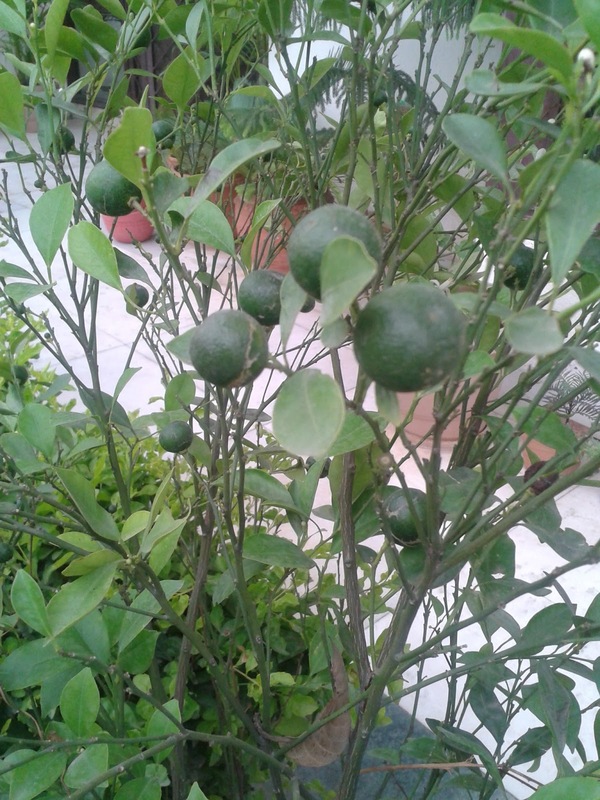 Have a lookie of these gorgeous citrus! 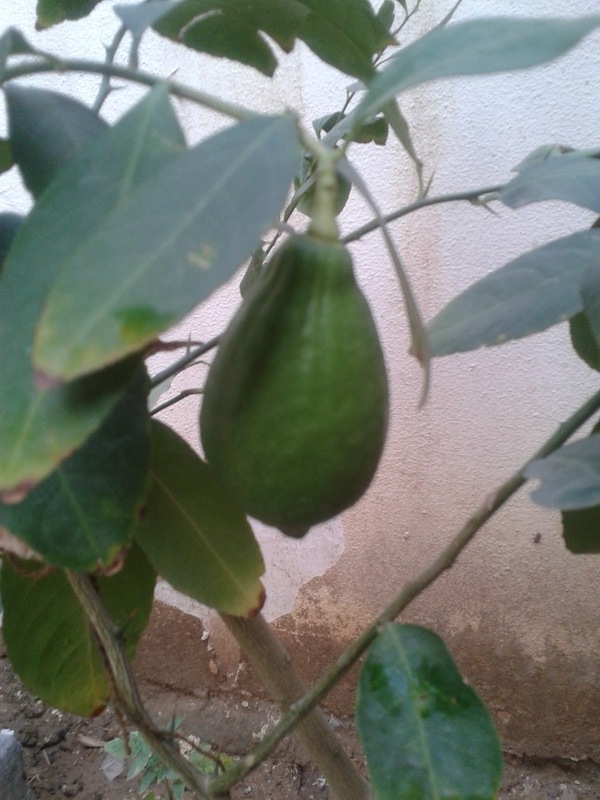 The very first type of lemons. 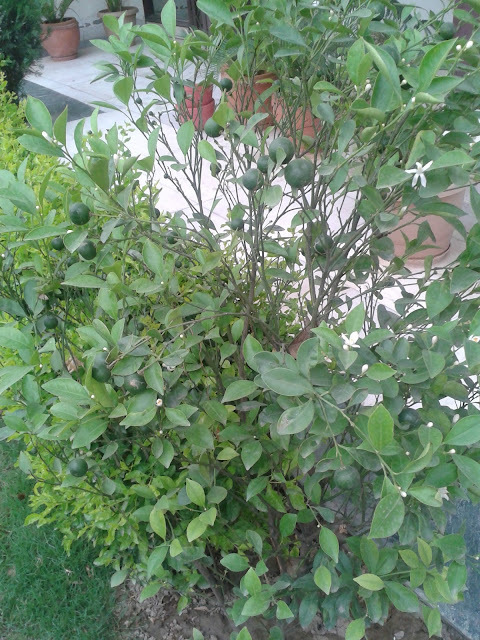 Ohhh, and these are small narangis growing in our front garden. 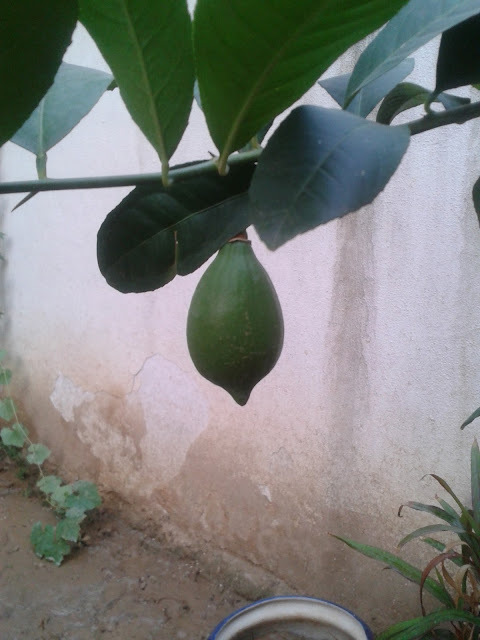 See these gorgeous narangis in this post. This is the second variety of lemons. We are surrounded by citrus from all around. Will be surely having many more glasses of lemonade now....yeaah. On another note, these can also be very defensive. If not lemonades, these can be used for another purpose too. See the picture below. 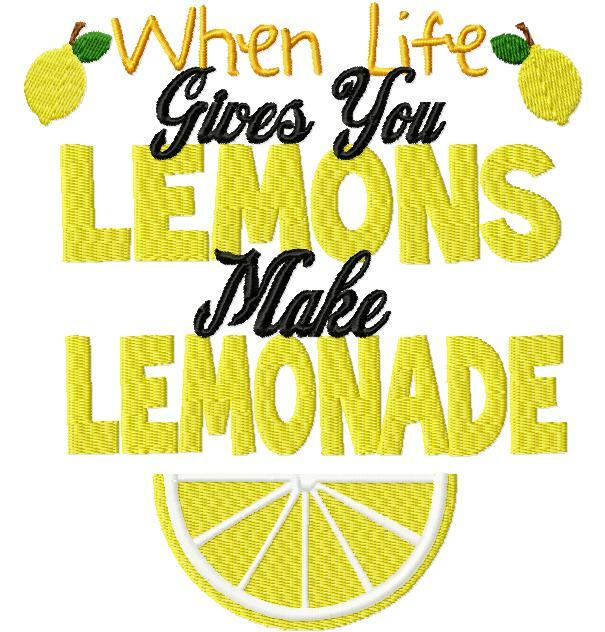 Hahaha, when life gives you lemons, NO ONE MESSES WITH YOU!!!!! P.S. This post is so in sync with my blog's background. 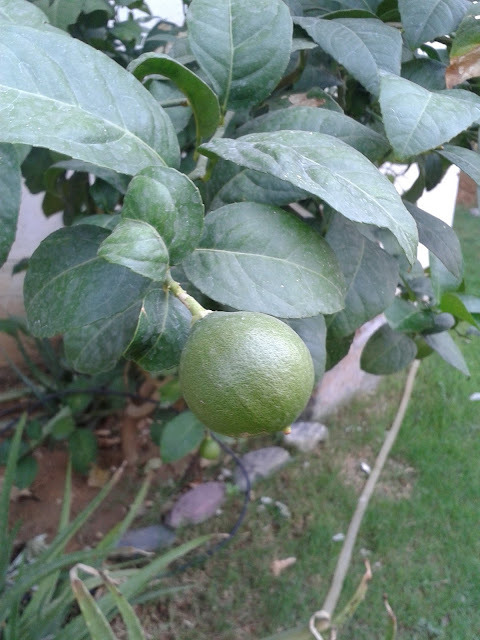 Ahhaaa.. lucky you to have lemons growing in your backyard in such hot weather. Glasses of lemonade back-to-back... the mere thought is so refreshing!! Namaste. Happy Diwali wishes to you, to your family members and friends. 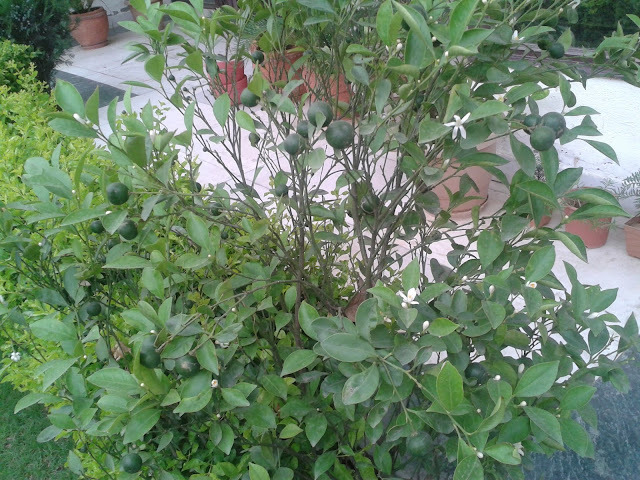 Akanksha Dhingra madam you have great blog with amazing pictures of your Interior Designs, garden etc. Akanksha Dhingra madam both your house Interior designs and garden are very colourful with lot of attraction. Akanksha Dhingra madam your blog will be useful for Internior designers. Akanksha Dhingra madam best wishes for your Interior Decoraton and other projects. Akanksha Dhingra madam this is my Diwali message "Lamps of India" which i shared in my Heritage of India blog. Akanksha Dhingra madam please look into my Lamps of India message and share your comments. Akanksha Dhingra madam i hope you like my blog and join as a member to my Heritage of India blog. Thanks for sharing this blog, you are good flower decoration services in jaipur again thanks for given to me lower decoration services in Jaipur, thank you so much.